Caption: Entrance to Maco fire lookout tower, painted and designed by Earnest Jones, towerman. Brunswick County, North Carolina. 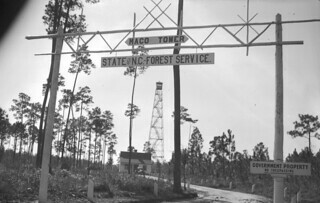 Photo is from the North Carolina Forest Service Photograph Collection.